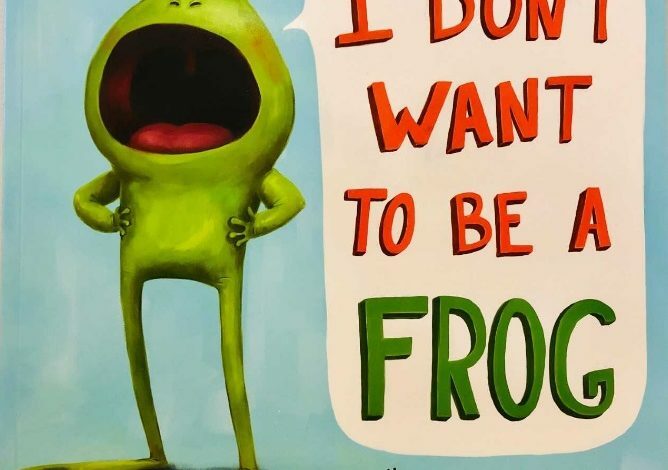 This week’s KidLit Pick of the Week is I Don’t Want to Be a Frog by Dev Petty and illustrated by Mike Boldt— previously released book now formatted paperback edition since it’s a must-have. This highly acclaimed book is about a frog who has a serious identity crisis about being a frog. He wants to be anything but a slimy frog. Maybe a cat, a rabbit, or owl instead. But when a hungry wolf arrives—a wolf who hates eating frogs, Frog decides that being himself isn’t so bad after all. * Rich illustrations and snappy dialogue. * Lighthearted and perfect for storytime.